This question is asked often by the patrons of Charlotte’s Coffee and Tea Shop in Danville, Illinois. In answer David Quick, owner, would say in short that Charlotte was my neighbor and good friend. She lived in the house for 55 years and was an “Angel on Earth”. Though many people in Danville respected and loved Charlotte, she thought of herself as an ordinary farm girl. But the truth is Charlotte left an extraordinary legacy of anonymous good works and countless measures of community service. As Charlotte went about her business around town wearing her hats, some of them adorned with colorful plumes, many would recognize her by her distinctive laugh. It was a laugh they had heard many mornings as Charlotte called in to a morning talk show to offer her advice or to answer a question posed by bewildered callers. Without a doubt, Charlotte was a quietly elegant and accomplished lady of her community but she also enjoyed having fun and having a good laugh. But in all things, however, she was a virtuous woman guided by her faith and her Christian principles. Like many great people of service, few people knew the extent of her generosity. She humbly went about her good deeds walking the walk and never compromising herself. She always was reaching out to others no matter who they were. For her work, Charlotte was once voted Danville’s Woman of the Year but would not accept the honor because she felt she had not done anything out of the ordinary. Charlotte grew up on a farm in Rockford, Illinois born to William and Martha Ratzloff. Her parents were of German heritage and always upheld a strong work ethic at home and as pillars of their community. Charlotte’s father knew no stranger and extended hospitality to many who were less fortunate. As a child, Charlotte loved to work hard and be outside. She would help plow behind the horse, break and ride horses and wrestle with her brothers. She also learned to dance and loved to go to Chicago and dance during the Big Band Era. 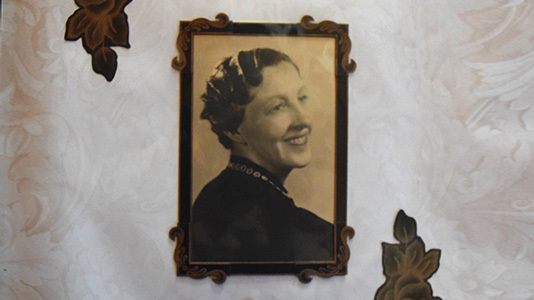 As Charlotte began her working career she blazed a trail for women in the world of business. 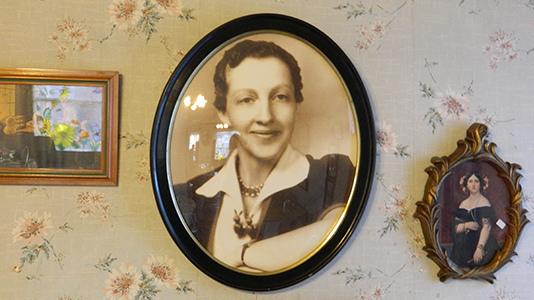 She was the first woman to be hired into the plant department of the telephone company in Rockford. Her work proved her to be efficient and intelligent, and she soon became the secretary to the manager. Charlotte learned about every aspect of the business and was a valued employee. 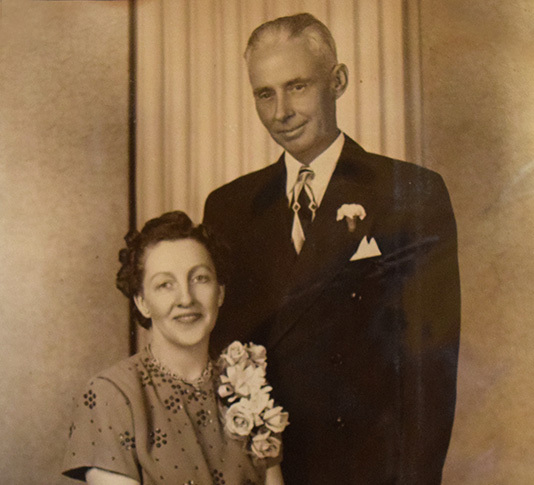 “Blackie” (Lewis) Wright of Danville fell in love with Charlotte. He finally won her heart after countless love letters and frequent visits to Rockford. They were married and as a couple lived at 402 North Gilbert where they opened and shared their home with so many friends. Their friends, families, and common folk. Charlotte always wanted her guests to feel at home and be comfortable when they were in her living room or at her table. Who would have guessed that as the newly-weds ate their first breakfast together over 60 years ago that a kind of history was being made. Today the coffee and tea shop fills the rooms of Charlotte and Blackies loving home and provides for the community the same warmth and hospitality that began with Charlottes father in Rockford, passed on to Charlotte and now lives on as David and Verna Quick provide the same at home service for the people of Danville. 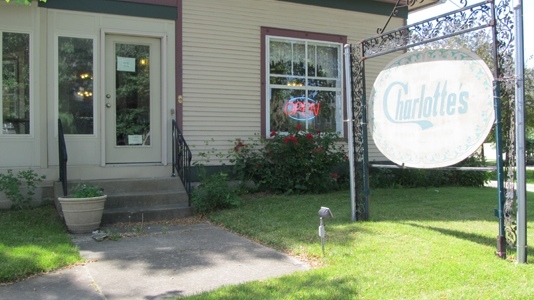 Charlotte lives on as an “Angel on Earth” at Charlotte’s Coffee and Tea Shop at 402 North Gilbert in Danville.